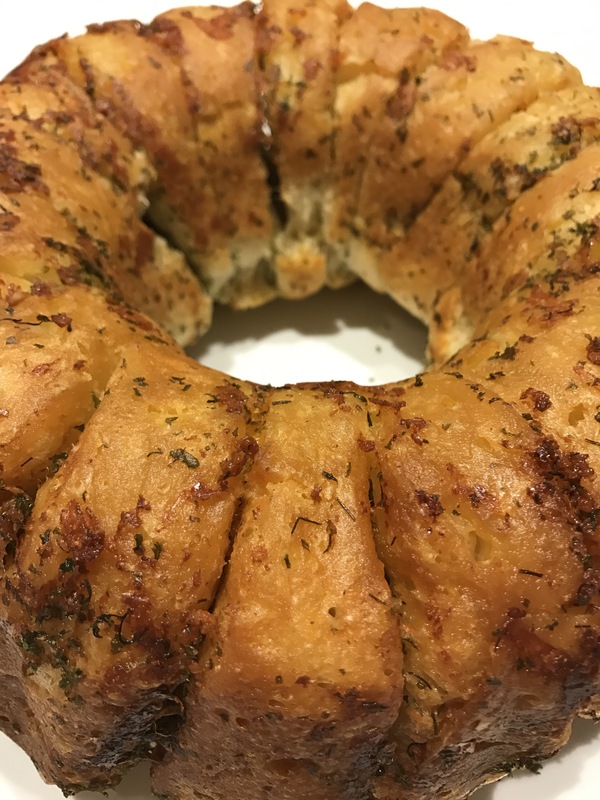 My friend Debbie Goldsman used to make this delicious Dill Bread occasionally. It is super easy and delicious. I thought it would be good at this time of year when many of us are having company around. It is quick to assemble and can sit on a counter for snacking or served as an accompaniment to a meal . My preference is a fish meal. I am not sure where the recipe originated from, but I give Debbie credit for it! 3. Open the tins of Pillsbury buns and dip each bun in the buttered mixture and stand on end in the bundt pan.